Mexico holds a richly diverse Eco-system. Arid deserts, sultry tropical forests, and rugged snow-capped mountain peaks with plunging canyons and gorges make Mexico the ideal vacation spot for both Eco-tourists and adventure enthusiasts. A blanket of semi-tropical rainforest covers the Yucatan Peninsula. The jungle as it is referred to is almost completely inaccessible in all areas except by roads or with a guide on trails. Paved roads cris-cross the entire region with main highways running along the coasts. Most of the Peninsula’s interior is uninhabited save hunters who still live deep in the jungle in small communities only accessible by trail. Driving the inland roads you encounter small villages with electricity every so often. You know you are close to a village when you start hitting speed bumps [topes] on the road. By and large the entire Peninsula is rugged terrain reminiscent of Northern Ontario or America’s Anarondac but mostly flat. 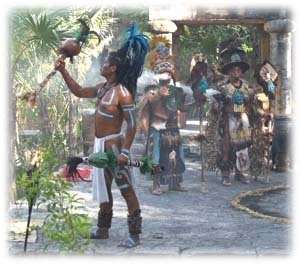 There are a number of National Parks and of course commercial ventures most notably Xcaret and Xel-Ha. Criticized for combining the beauty of the natural coast with an Eco friendly park it must be said that they did do a fantastic job. It was bound to happen some day and the people who actually did the work did a magnificent job in making this area accessible to everyone and at the same time providing work for local residents. Many children get to experience something that before the development was not as accessible. There are caves all over the Yucatan and numerous Tour Operators have trips to visit them. There are however many caves known only to local residents or people who live in a specific area. In fact if you know the right people you can go to sacred caves and waterfalls that were once used by Mayan Kings and Queens. There are sacred caves with terracotta clay where you can have a mud bath then wash off under a waterfall. This is truly an enchanting experience. Cenotes dot the landscape and if you fly over the Yucatan you will see many but what is most striking is that you can see the faint outline of what was once a village around or next to every single cenote. It is absolutely astounding to imagine how populated the Peninsula once was compared to today. Getting to many of these cenotes is next to impossible however some are accessible. Some are privately owned and operated as businesses and some are hidden away in the dense jungle only accessible by guide and path. There are a number of lagoons or small lakes most of which have no development on them except a few cabanas. 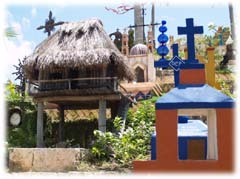 Coba and Punta Laguna are two located in the Maya Riviera. Laguna Bakalar is a beautiful lake located near Chetumal. Misha Ha is close and less developed. Both lakes will remind you of any lake in Canada as far as cottages are concerned. Mexicans like cottages as well. The state of Quintana Roo contains a large percentage of Mexico’s parks and reserves, 20% of its territory being covered by some sort of environmental protection. Recently there have been a number of ecotourism developments in these protected areas. Some of the ecotourism projects, like the Sian Ka’an, make a solid effort to protect the natural resources and educate visitors. Other projects are primarily commercial. These projects are generally Eco friendly residential developments or theme parks. 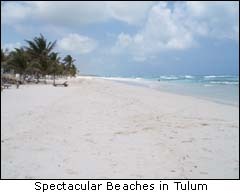 Mexico’s Natural Park budget is small and private companies control many of the popular ecotourism destinations. It is a paradox that you will find the greatest zeal for environmental protection at developed Eco attractions. Whether you are a seasoned traveler or on your first Mexican Eco adventure the strategy is the same. First study the area and find out where things are. Next locate accommodations or a campsite. It is advisable to reserve a room in the high season, campers need not worry. Plan your route. If it your first trip to the Peninsula you may want to consider booking your trip through an adventure tour company. If you are flying into Cancun then you will be met at the airport and whisked away to your first destination where everything is prepared for you. 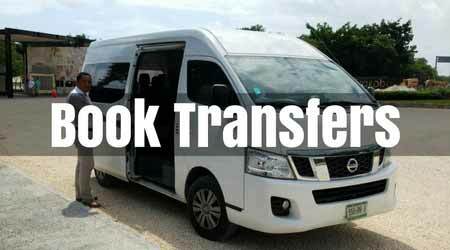 There are more adventure tour companies operating out of Playa del Carmen than anywhere else in the Peninsula. They are situated well with caves, cenotes, Sian Ka’an, Coba, Tulum, Cozumel and many other destinations within a short drive.